American Patriot, Congressman James Traficant, left, died Saturday at age 73. He represented Youngstown Ohio from 1985-2002 - re-elected eight times. He was framed for "corruption" in 2002, expelled from Congress and spent seven years in prison. Traficant was still at it this summer. You can see he was strong as a bull and would have lived a century if he hadn't had an accident. 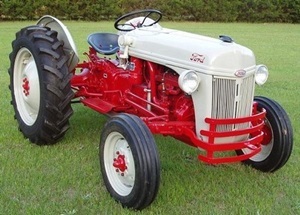 Tractor accidents aren't rare, but the story has lot's of red flags that can't be checked out. As his death is so very convenient I can only assume it was caused, though it's pointless to suggest it because they did such a good job of making it look like bad luck. Part2- Just found this talk by Trafficant from 2013. He was leading an organized investigation of Bilderberg. He explained the way to penetrate the secrecy is to look for tax dollars being used to fund anything to do with the meetings. Nevertheless, in A.D. 1993, while the speech was remarkable, the underlying idea that the U.S. government was bankrupt and in the process of reorganization seemed unremarkable or even false. Everyone who bothered to study “patriot” issues back then already knew the US government was bankrupt, but most assumed that government would simply continue to function forever in that condition. It wasn’t until A.D. 1997 that I (at least) began to suspect that Traficant was right–sometime after A.D. 1993, the U.S. government had gone through a “reorganization” and, astonishingly, may have ceased to exist. I based my suspicion primarily on the A.D. 1997 publication of the 7th Edition of Black’s Law Dictionary which deleted the three definitions of “United States” (declared by the US Supreme Court in the Hooven & Allison v Evatt case) that had appeared in Black’s 4th, 5th, and 6th editions, and added a completely new definition of “United States of America” which had not been defined in the 4th, 5th and 6th and which was completely different from the Hooven & Allison definitions. I can’t prove it, but I believe that the reason “United States” was missing from the 7th (and then 8th) editions of Black’s Law Dictionary is because the “United States” had, in fact, ceased to exist. The impossible had taken place. The U.S. government had been executed in bankruptcy–exactly as Congressman Traficant had predicted or implied 4 years earlier in his speech to Congress. 1) About the same time Black’s deleted the term “United States,” the apparent US gov-co issued a new-and-improved currency that had a completely new design. The alleged purpose was to “thwart counterfeiting”. However, I know that, at bottom, “counterfeiting” is a copyright violation. I speculated that the real reason for issuing a newly designed paper dollar in the 1990s may not have been to “thwart counterfeiting” but rather to create a new bill and a new copyright owned by whatever new entity replaced the former (now “executed”) United States government. If the “old” United States had owned the copyright to the FRNs and had been executed in bankruptcy, the “new” United States would need a new copyright which would require a new-and-improved design. 2) Federal court cases that had previously been styled “United States vs Smith” were suddenly styled “United States of America vs. Smith”. We seemingly had a “new-and-improved” plaintiff with a different name. 3) More recently, if you visit Manta.com you’ll find a list of over 63 million private corporations. The data for these listings is provided by Dunn & Bradstreet. If you enter terms like “The White House,” “House of Representatives,” “Internal Revenue Service,” and “Barack H Obama” into the Manta.com search engine, you’ll find those entities listed as private corporations. We’ve found courts and state agencies also listed as private corporations. It appears that the constitutional governments of the United States and of the States of the Union may have been supplanted or replaced by a conglomerate of private corporations. 4) The term “United States” (missing from Black’s 7th and 8th) has returned to Black’s 9th and is currently defined as “see UNITED STATES OF AMERICA”. In other words, today, “United States” and “United States of America” are being defined as synonymous. If that’s so, the earlier Supreme Court decision in the Hooven & Allison case was completely absurd. I don’t believe the Supreme Court was absurd in the Hooven & Allison case. Again, I can’t prove it, but I’m drawn to the fantastic conclusion that the “United States government” was executed in bankruptcy somewhere around A.D. 1995-1996–just as Congressman Traficant predicted. United States Congressional Record, March 17, 1993 Vol. 33, page H-1303. “Mr. Speaker, we are here now in chapter 11. Members of Congress are official trustees presiding over the greatest reorganization of any Bankrupt entity in world history, the U.S. Government. We are setting forth hopefully, a blueprint for our future. There are some who say it is a coroner’s report that will lead to our demise. • No immediate evidence suggests Jim was the victim of foul play, but a pathologist wants to examine all possibilities before releasing final ruling on cause of death. 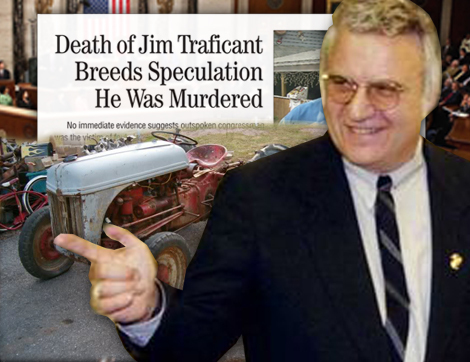 After the tragic death of Jim Traficant on September 27, the phones at AMERICAN FREE PRESS began ringing off the hook with calls from Jim’s fans wanting to find out more information. Most callers were devastated by the news and seemed to feel that Jim had been murdered. Although there is no real proof of such a conspiracy, the overwhelming majority of the callers was convinced this was the case. At this time, there doesn’t seem to be any concrete evidence of foul play. However, the possibility cannot be ruled out, as there are several anomalies with the official story that need to be examined. The people who directly witnessed the incident are being suspiciously tight-lipped about what occurred. Andrew Thomson, the only eyewitness to the accident and the one to call 9-1-1, is not giving any interviews and even wanted his identity concealed. All interested parties have is Thomson’s 9-1-1 call saying Jim was pinned under the overturned tractor and didn’t appear to be breathing. Perhaps the most important news has come from the Mahoning County Coroner’s Office, which reported that the cause of Jim’s death was positional asphyxia, meaning Jim was pinned in such a way that he could not breathe. According to forensic pathologist Dr. Joseph S. Ohr, Jr., who completed the autopsy on September 29, Jim never suffered a heart attack prior to the accident, as was widely rumored, nor was there any trace of drugs or alcohol in his system. More significant was Ohr’s finding that Jim had “no crushing injuries” to his body, as was reported from sources at the hospital. The official story is that Jim’s tractor ran over a “blade” or scraper and the front end was elevated to the point that it flipped backward. Jim remained fixed on his seat as the tractor swung 180º over him. Being that the seat was lower than the top of the wheels and the top of the engine cover, Jim was compressed enough to restrict his breathing but somehow was not crushed by the one-and-half-ton tractor crashing on him. Although Jim’s breathing appeared to have stopped due to the accident, after CPR was administered he began breathing on his own, and his heart was also beating on its own. The life support machines were only there as a backup. Jim was breathing on his own even after he was taken off a backup respirator on September 26, and his heart was beating on its own. He was even snoring, according to family spokesperson Heidi Hanni. “But there was no hope” of recovery, Hanni said. Jim was transported from St. Elizabeth Health Center in Youngstown to the Hospice of the Valley on September 26 “to make him as comfortable as possible,” according to Hanni. Jim died at 11:30 a.m. on Saturday, September 27. The Vindicator, Youngstown’s local newspaper, reported that Traficant was actually buried on Monday morning. Both of these seem to be wrong, however, as the coroner did not complete the autopsy until 5:30 p.m. on Monday afternoon. The circumstances at the hospital, the hospice and the burial are somewhat vague, especially in light of the coroner’s report. But even stranger is how the tractor flipped over. It is difficult to visualize how Jim, who was well acquainted with the tractor, the terrain and the barn, presumably traveling at low speed on flat ground, could have capsized like this. Both the barn and the tractor had lights on, yet Jim must have not seen a fairly large object. Although he reportedly had all his wits about him, Jim was unable to stop the tractor once he hit the object, and forged ahead forcefully enough to climb over the blade and flip the tractor. Even so, the blade was no taller than a foot and a half or so. How could it have caused the front of the tractor to rise high enough to flip over backward? Ohr told this reporter that there’s been much speculation that something other than an accident may be to blame, given how careful a driver Traficant was. He wants to investigate further by examining the tractor and the EMS report that was taken at the time of the incident. He would also like to talk to Traficant’s trauma surgeon before making a final ruling on the cause of death. When word got out that Jim Traficant, America’s most courageous officeholder of our generation, was in a serious mishap on his family farm and then that he had died the next day—to say that it was a shock is the understatement of the year. This certainly goes for myself, as I had been privileged to ride with Jim to and from his last several speeches over the last six months. A few mental snapshots from what would turn out to be my last hours with Jim . . .
On an 11-hour trip to Youngstown, Ohio, on September 17, I drove for the first nine hours with Jim staying awake the entire time helping me navigate. A little past Columbus, it was daylight, so Jim took over, but told me I would have to stay awake in the passenger’s seat. That was easy with Jim telling me stories about his time in Congress. When he was recalling stories, as when he walked onto a stage, Jim was back in his prime, animated, eloquent and seemingly ageless. I think he loved telling those stories almost as much as we loved listening to them. We got home on September 19, and a week later James Anthony Traficant, Jr. was dead. Where now? The consensus is that all of us must carry on PROJECT FREEDOM USA with the Traficant spirit, as best we can. He is and was the very symbol of righteous defiance of tyranny. We need to look to him as our symbol. Jim’s story is that of the fight for America. “Mr. Smith Goes to Washington” was a movie, but Mr. Traficant goes to Washington—that was real history. This was filmed nearly a decade ago, in July 2002. Things have really come apart at the seams for the American citizenry since then. James Traficant; "I was a Target!" Ron Paul: "When Mr. Traficant gets an opportunity to defend himself, he gets 30 minutes? Really?" The Bankruptcy of The United States United States Congressional Record, March 17, 1993 Vol. 33, Page H-1303 Speaker-Rep. This is why James Traficant was MURDERED! https://www.youtube.com/watch?v=tOqDLN4-Wo0. 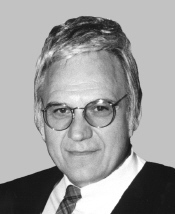 Former Congressman James Traficant passes away after tractor accident outside of Youngstown. more at foxnews.com, September 29, 2009. James Traficant Hearing; "No Finger Prints!" Former Ohio Rep. Jim Traficant was critically injured in a tractor accident this week. James Traficant on Alex Jones Tv 1/5: AIPAC Runs America's Foreign Policy! Pastor Dan Johns and John Friend discuss James Traficant. 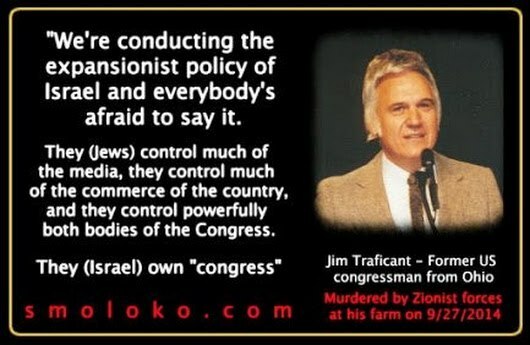 James Traficant proves Israel gets 15 billion a year from American tax payers. Do you want to know why Israel is so rich? well they get 15 Billion a year from the United States. Do you want to know why this is so? Gov 2.0 Summit 2010: Jim Traficant, "Why EMR's Will Transform Healthcare"
and his unfortunate removal from the House of Representatives.